Over the last five years, 126 cumulative cargo thefts were reported during the Memorial Day holiday period according to CargoNet®*. The number continues to increase year-over-year with a 36% uptick in reports from 2015 to 2016. They analyzed data from the Wednesday before to the Wednesday after the observed holiday from 2012 to 2016. Trends found that most cargo was taken from warehouses, truck stops and carrier/terminal lots. Over the last three years, the total loss value has increased from $6.4 million in 2014 to $11.2 million in 2015 to $15.7 million in 2016. This is a 40 percent yearly increase not accounting for inflation. The average theft value increased as well from $152,397 (2014) to $201,144 (2015) to $219,420 (2016). Notable thefts over the last five years are highlighted in the below list. The summary infographic is below. 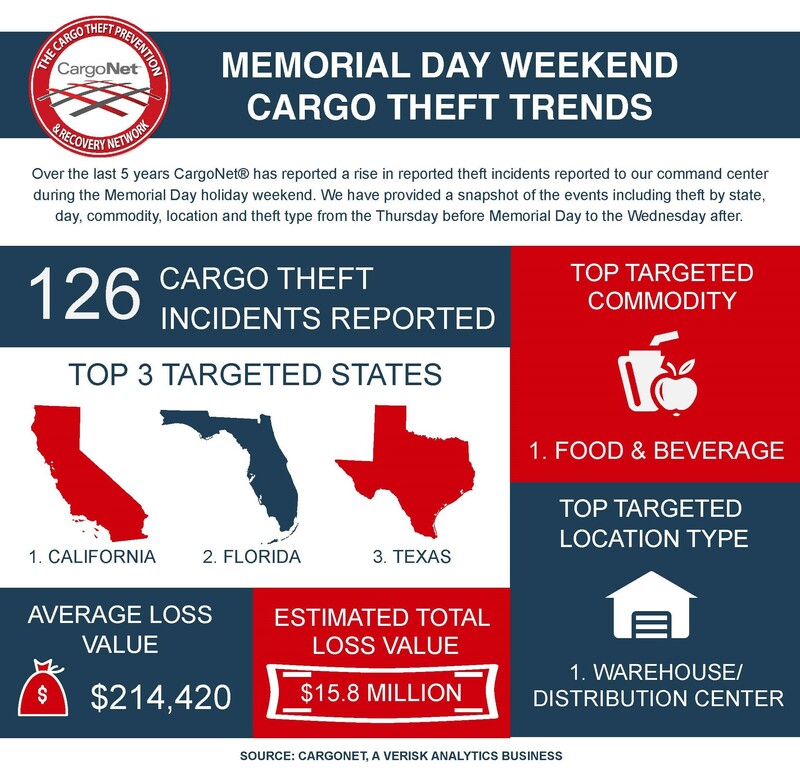 View the full CargoNet Memorial Day Weekend Cargo Theft Trends and Security Tips & Best Practices here. 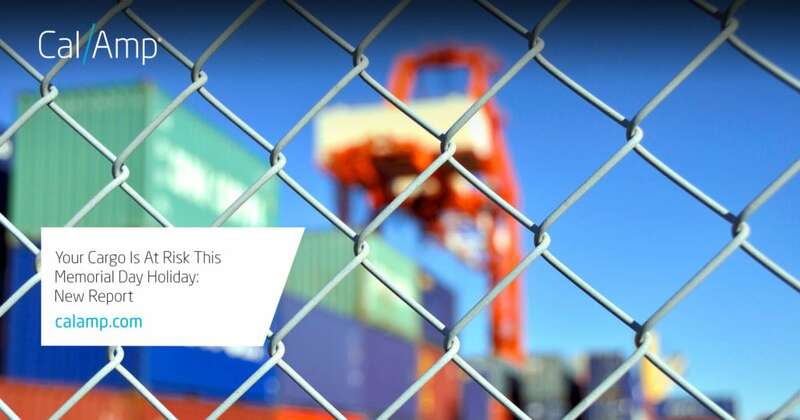 To learn how to protect your in-transit shipments, visit our supply chain integrity page here and watch our video here. *CargoNet is a Verisk Analytics (Nasdaq: VRSK) business.